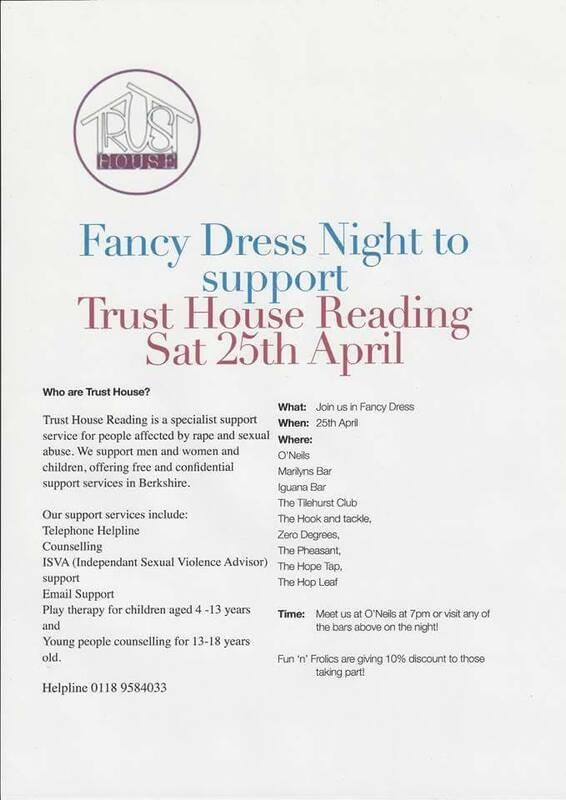 Various pubs/ bars in Reading will encourage fancy dress in aid of raising money to provide much needed counselling hours for children in berkshire who have experienced sexual abuse. Please ask your friends and any bars you are regular at to take part. 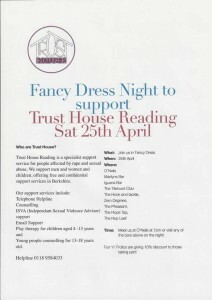 We will supply posters and collection pots to any bars who take part. Thankyou!